We find it hard to hide our excitement when we find new faith-based initiatives, platforms and communities. Especially when it utilizes the elements of new media and storytelling to drive home elements of peace, love, joy, social justice and of course, faith. That explains our enthusiasm when we discovered what My Salvation Story is doing online. The goal of My Salvation story is simple – show the realness of Jesus by sharing the salvation stories of people who have experienced His transforming power at work in their lives. 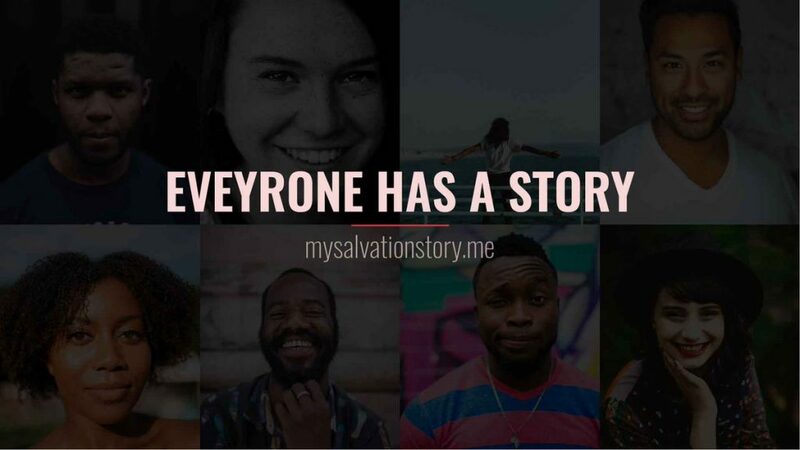 This is why MSS (My Salvation Story) set out to interview and receive testimonies from individuals – across different cultures and backgrounds – who have experienced the change that Jesus brings and share on their website. The site hosts an increasing number of salvation stories that will tell sinners of the incredible saving power of Jesus, remind believers in Jesus of the wonder of His redemption, while also assuring us that we are never alone in this world. The initiative, led by Michael also gives readers an opportunity to share unique experiences of encountering Jesus at Salvation. And the way the stories are told; with so much openness and vulnerability. With Christ at the centre of it all. We know that no one’s experience is superior to the word of God. But, we also know that when an experience is backed by the word of God and points to Jesus, it possesses the power to save! Well done to the team behind My Salvation Story.